Open the box. Dump out all the pieces. And scramble for your lives. 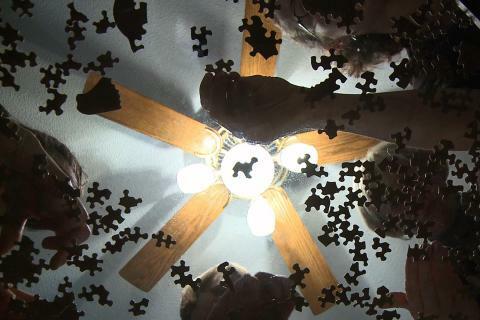 Because this is competitive jigsaw puzzling. And it turns even the mildest of mannered Midwesterners into stone-cold competitors. Every January, the top teams in the game gather at the St. Paul Winter Carnival in frigid Minnesota to determine the fastest puzzlers in the country. "Wicker Kittens" invites you to choose your favorite contestants—the returning champs, the upstart challengers, the sunny family or the dark horse team with nothing to lose—and watch them try to put the pieces back together. 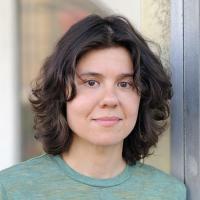 Amy C. Elliott is a documentary filmmaker and photographer with a focus on regional American culture. Her feature World's Largest, about small towns with roadside attractions, premiered at SXSW 2010.